11/24/2004 | W5WZ Our family was on a camping trip to Daisy State Park on Lake Greeson in Arkansas. I had hoped to spend a significant amount of time in the contest. However, as my first solo portable operation, it wasn’t as successful as desired. I brought an fan dipole for 80/20, and also a trap dipole for 40/15. But, I didn’t bring any soldering irons or antenna analyzers. The 80/20 antenna was up about 25 feet, on the east side of a steep slope near the edge of the lake. 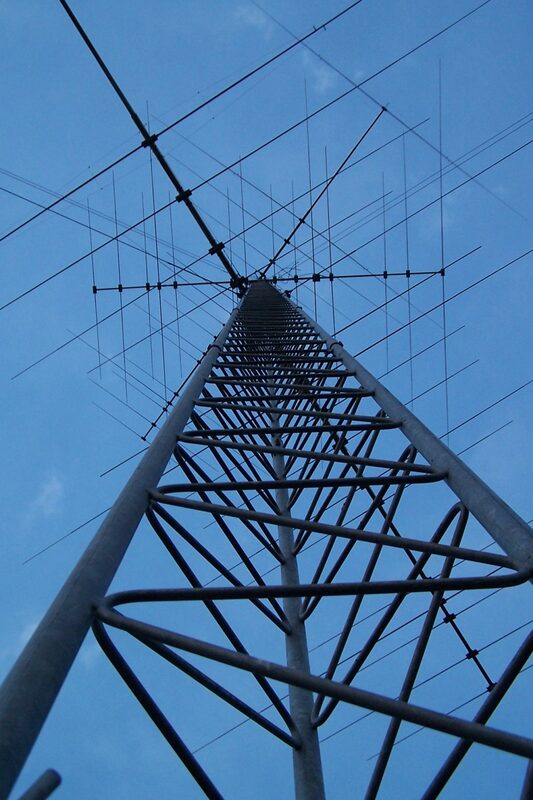 The 40/15 dipole had an unknown problem; it wouldn’t tune up anywhere. So I gave it a shot with only the 80/20 antenna. 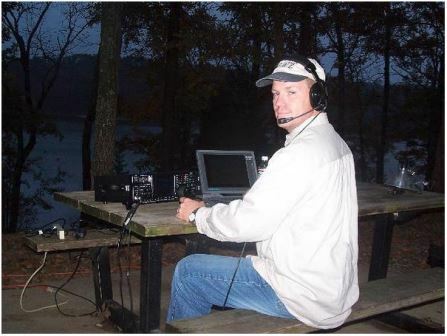 My station was an IC-756 ProII, a laptop with NA by K8CC for logging and rig control, with the requisite Heil proset and footswitch, all on the picnic table at the campsite. My family had other plans for the camping trip; as much rain was expected, during the non-rainy periods I was expected to be with them. The first evening, the temperature was falling quickly ahead of the rain, which soon followed, so I packed up and went to bed in the RV. With 4 kids under age 7 in the RV, indoor operating was not going to happen on this trip. The next morning, it was very damp and windy, so I decided to set up in the cab of the truck. With the 756 on the dash, laptop in my lap, the passenger seat was mighty comfortable. The kids provided plenty of interruptions, along with the nature hike and my turn at cooking for the family, so once again operating was not the priority. After all, this was my vacation! I did learn that an automobile bucket seat should be considered for an operating chair.